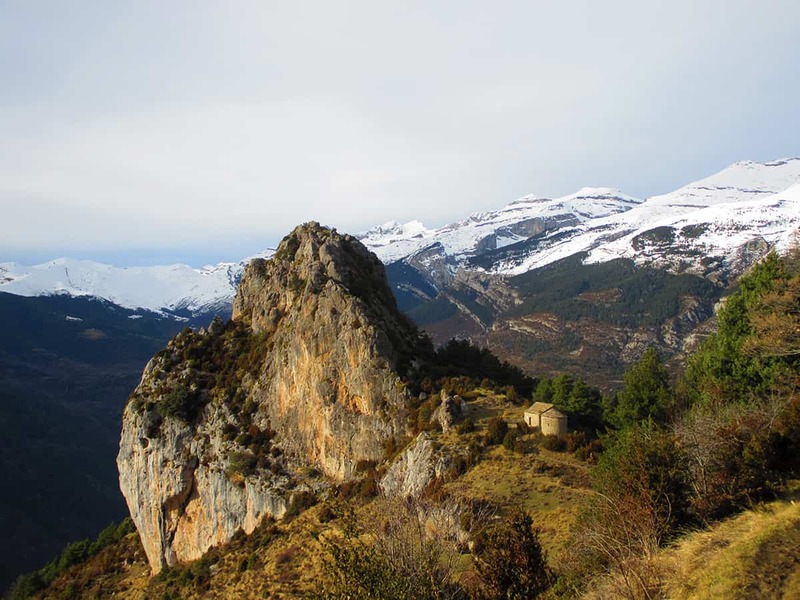 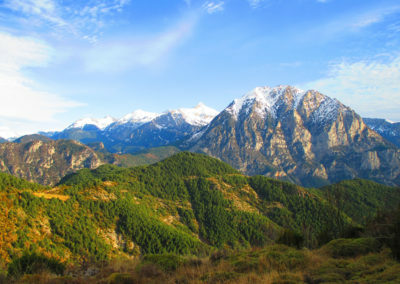 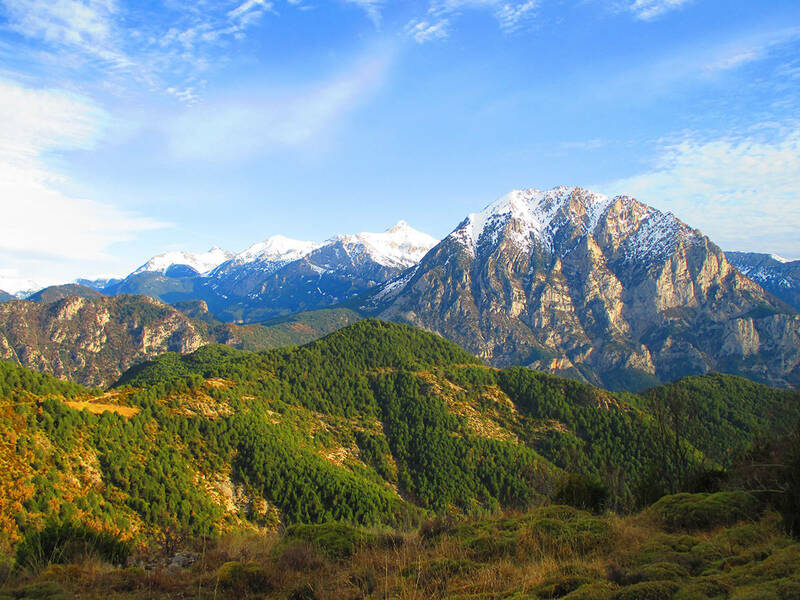 With its mysterious traditions and legends, Tella sits at 1350 mts on the slopes of Monte Perdido and Tres Sorores overlooking the Cinca valley. 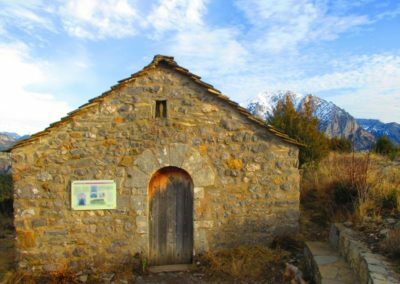 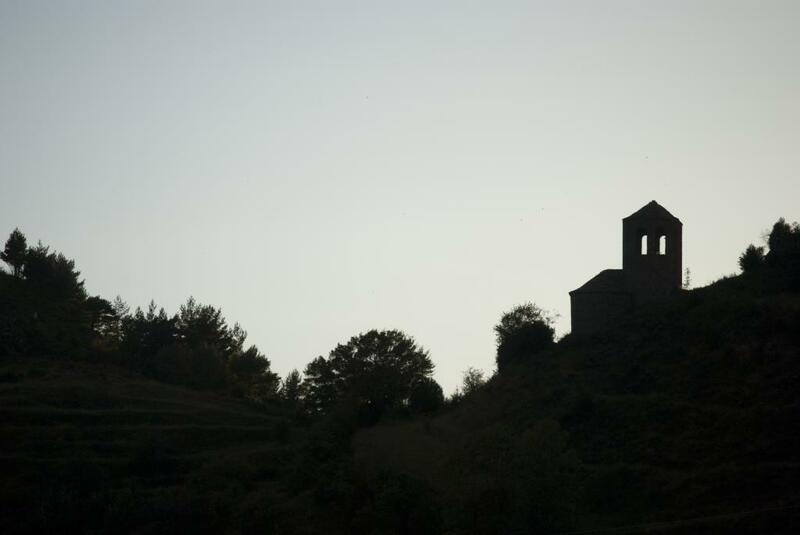 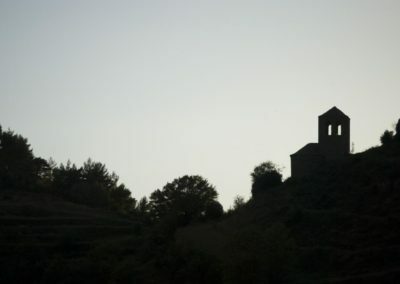 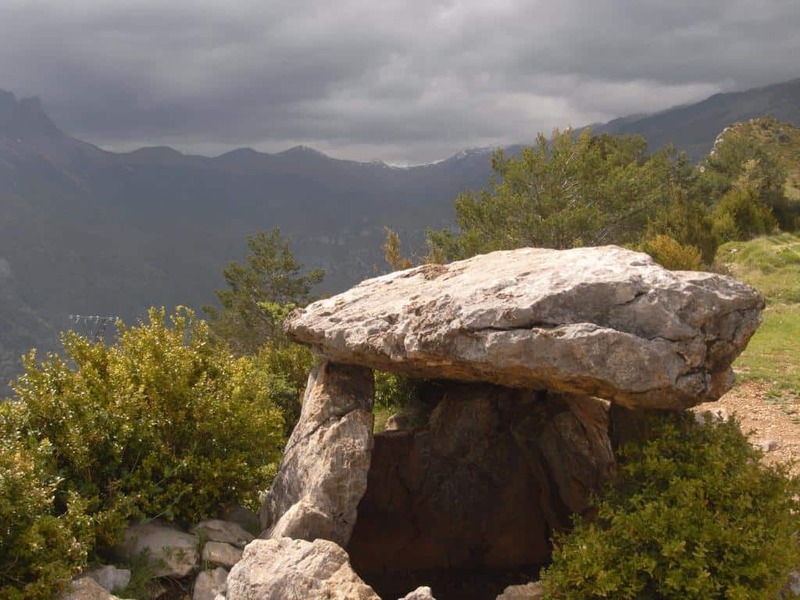 A few kilometres before the village you’ll find its megalithic dolmen and once in Tella you can enjoy the 3 Chapels walk around an easy circuit which takes you to each of these beautiful Romanesque Sobrarbe gems; the chapels of Fajanillas ,Saints John and Paul and La Virgen de la Peña. 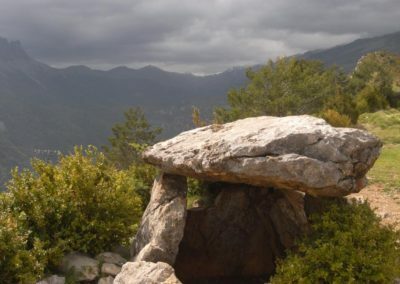 A highly worthwhile excursion is to the The Bear Cave, with its visitor’s centre and fascinating guided tours around the caves once inhabited by the now extinct Cave Bears from over 40,000 years ago.